Golf Digest has awarded Sandpiper Bay with a prestigious 4 star rating, and playing a round on this sterling course is sure to be a rewarding experience for golfers. 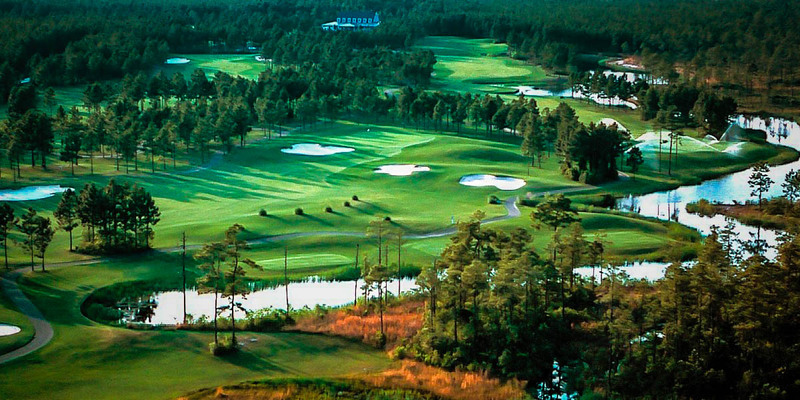 Situated in Sunset Beach, NC, only a few miles north of the Grand Strand, this 27-hole course has undergone a recent renovation with all greens upgraded to MiniVerde Bermuda. With three distinct courses Sand, Piper and Bay offer unique challenges. The Sand course features elevated tees, gentle doglegs and three par-3's. The Piper course offers three par-5's and some shorter par-4's, offering great scoring opportunities. The Bay course, newest of three, features heavy use of water as both a scenic feature and dangerous hazard, and accuracy will be necessary to shoot low scores.